IN STOCK - Price is for ONE nib. SHIPPING: Due to the roller machine at the PO, and nibs being damaged in shipment using envelopes I will only be shipping the in a padded bubble mailer from now on. 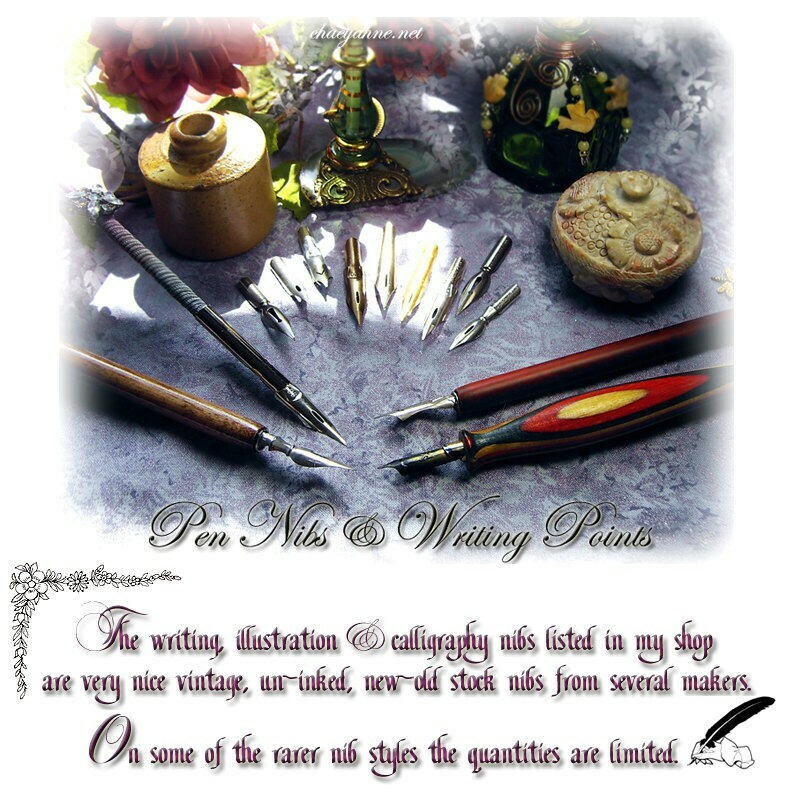 I apologize as this does raise the shipping costs, however some of these nibs are quite rare and I cannot afford to replace large orders of broken nibs. I hope you understand. There is NO extra S/H costs when added to another purchase.